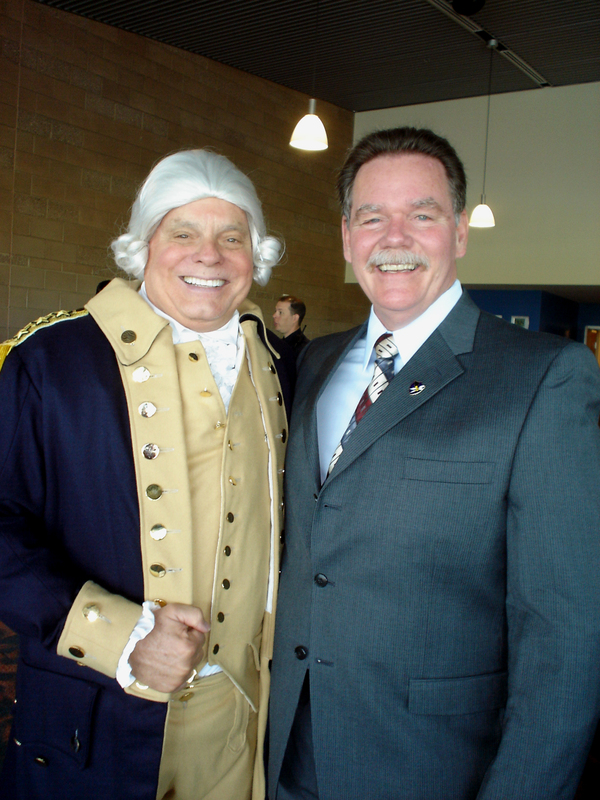 "I have had Patrick Henry and George Washington speak at two of our national conventions. 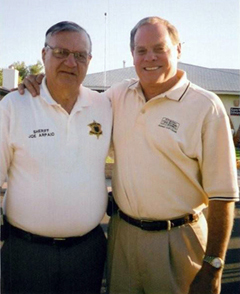 It was a great honor to have these Fathers. I learned a great deal of valuable information about our history from their presentations. It would be a great service if every convention held in America could hear them speak. 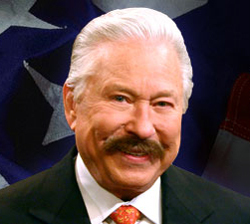 You inspired me to be a better American. We all need their messages." "Lance Hurley helps to creatively educate and inspire those who hear this message to realize our God-ordered national heritage. 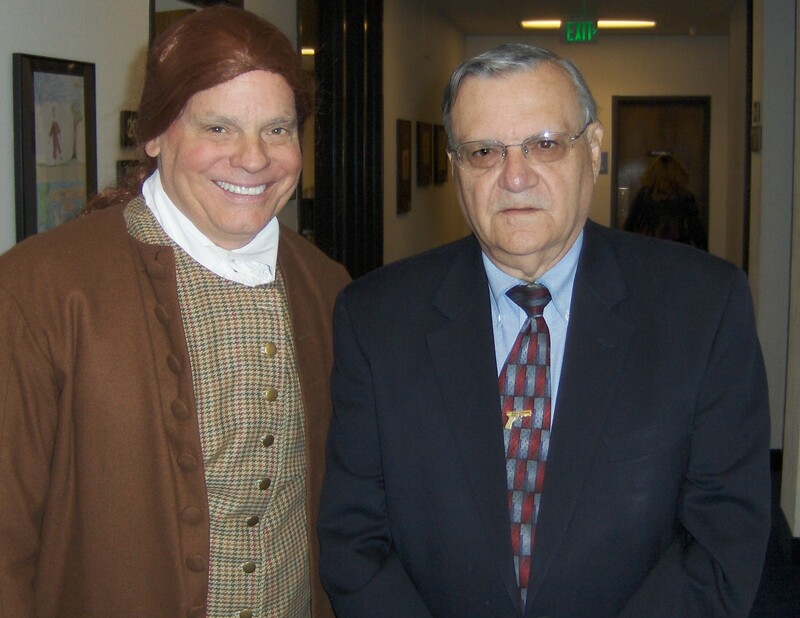 His presentation clearly helps us understand the truth about our founding fathers that will encourage all of us to embrace our Godly heritage." Your dynamic Patrick Henry presentation really set the tone for our entire Arizona Conference. Thank you for your excellent contribution. 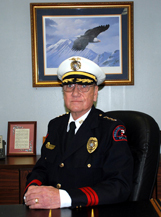 "Dr. Hurley's presentation at our Chaplains Academy was more than educational. His mastery of history is unparalleled in this period. He brought to life our National History in a way that more that completed our academic study. 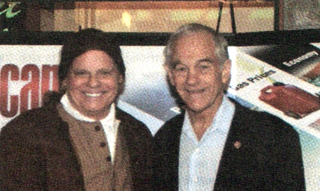 He was motivational, inspiring, and introspective concerning facts that brought our nation into its birth and to the continued sacrifices that must be made to to insure our blessed gifts of freedom, liberty, and justice. 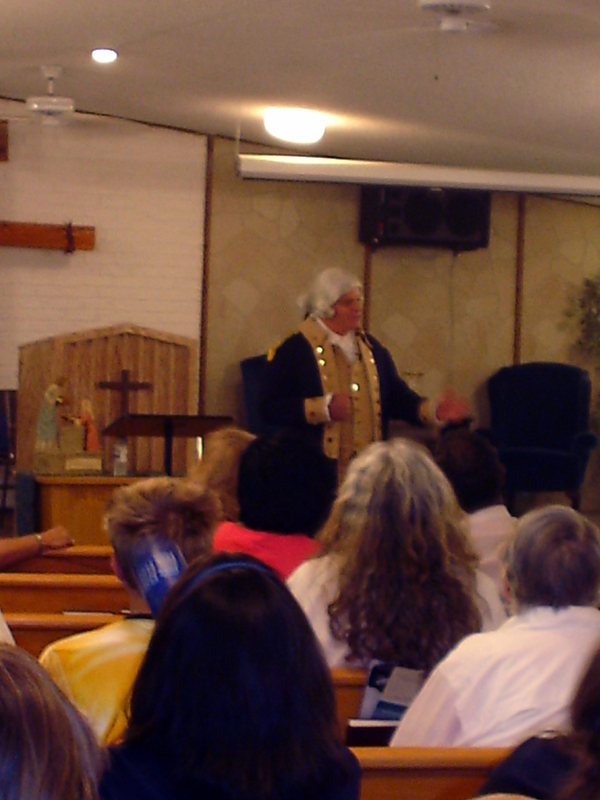 Dr. Hurley's impassioned presentation of Patrick Henry had a sobering effect on the 65 inmates at our Chapel service. 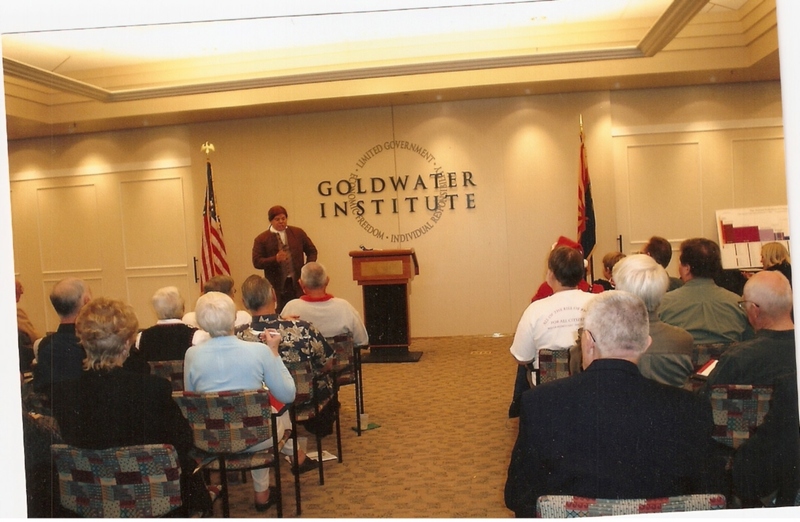 His informative and educational explanation of the Founding Fathers Christian values, as well as the Christian origins of America, was warmly received. At the altar call, 20 of the inmates accepted Jesus Christ as their Lord and Savior. 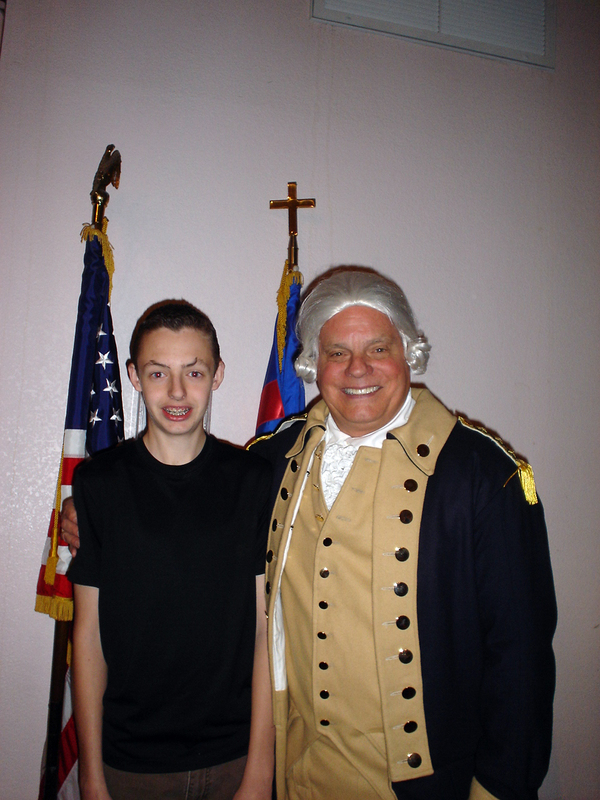 "excellent Patrick Henry Presentation... balance of material helped greatly in understanding the events of the day. 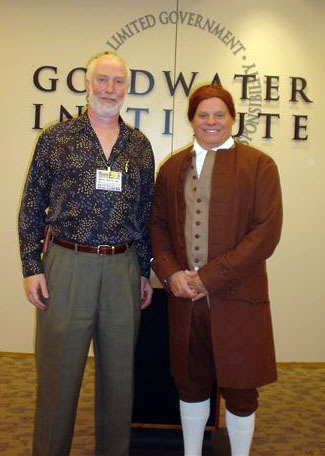 Two standing ovations greatly deserved..."
Dr. Hurley's portrayal of Patrick Henry made our Bill of Rights Day at the Goldwater Institute absolutely outstanding... attendees sat in rapt attention.. as you expounded on why the Founder's proceeded as they did.. I found the historical perspective critically important to the reading of the Bill of Rights.. without reservation recommend you. 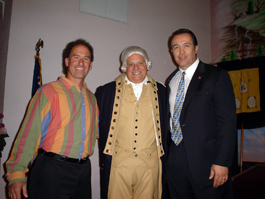 Your presentations as both George Washington and Patrick Henry struck a resonant chord with all present. They made an impact on all in attendance. Excellent contribution to our 50th anniversary. 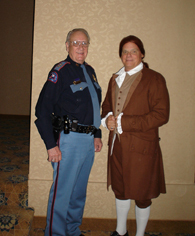 "...correct history of our country is no longer taught...Lance Hurley does an outstanding job of portraying Patrick Henry... Biblically based message... had the pleasure of seeing Lance portray Patrick Henry at Constitution Party National Convention... dynamic... two standing ovations... his message appropriate for any Baptist church... you will not be disappointed if you have him." 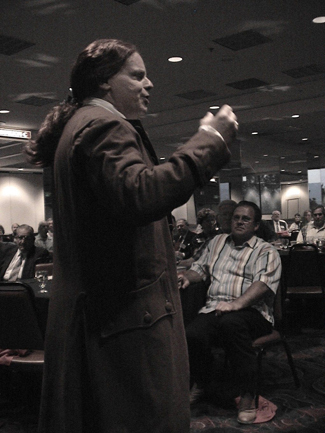 "Lance Hurley's dynamic portrayal of Patrick Henry's immortal speech and his subsequent remarks afterwards were enthusiastically received by those attending the Constitution Party National Convention. He was interrupted by applause on numerous occasions and he received two sustained standing ovations. 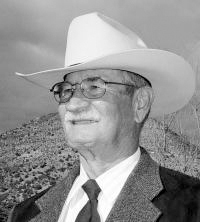 His presentation greatly contributed to the overall success of the Convention. "Thank you for your tremendous contribution to our conference. Those in attendance were thoroughly impressed with you and your presentation-as was I"
"After helping to coordinate keynote speakers for our last eight conferences, I found Dr. Hurley's presentation to be one of the most inspiring, encouraging and uplifting we have ever heard." 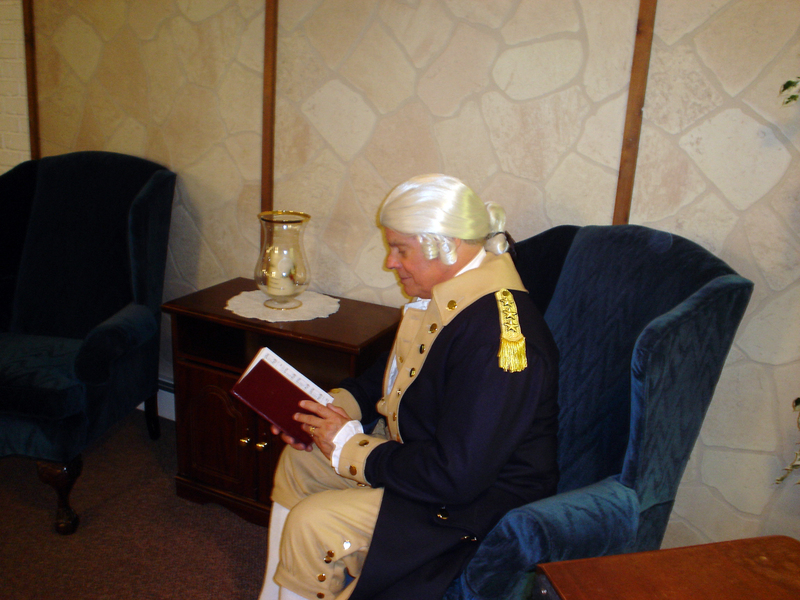 "Dr, Hurley's portrayal of George Washington was a big hit at our conference. Several members had tears in their eyes as they listened to the passionate and patriotic presentation dealing with the historic origins of our country. I highly recommend him to any organization wishing to learn about our heritage as well as the strong faith in God that the Fathers had. 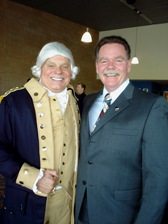 "Everyone enjoyed your dynamic, passionate and dramatic presentation at our State Convention. You will be in our minutes, our newsletter, and in demand...Thank you for your presentation..It was grand." "In the twenty-one years of putting on our national conference, your dynamic presentation ranks right at the top as one of the major highlights. It was a truly awesome presentation and everyone thoroughly enjoyed it, as attested by the two standing ovations you received." 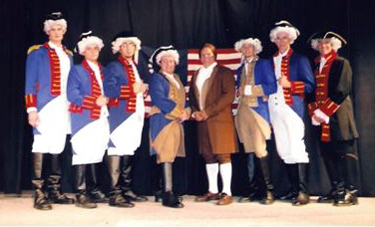 "Lance Hurley's dynamic recreation of Patrick Henry's "Give Me Liberty or Give Me Death" speech and his ensuing remarks captivates the audience's attention. 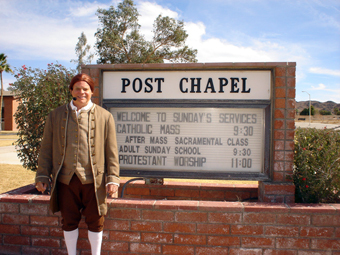 Lance's message is laced with quotes from several of the Founding Fathers, which reflects their strong Christian background and is a wonderful lesson in the Christian heritage of America. I highly recommend his presentation for schools, conventions, and churches"
"To close out an already memorable conference, we were transported back in time to 1775....I was caught up in the moment, in my mind shouting "Liberty" "Liberty".... enthralling, dramatic, moving, a full of passion presentation, how else can I describe it?" 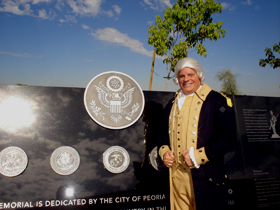 Excellent presentation at City of Peoria War Memorial dedication. "May God bless your faithful service"
"A chill went up my spine as I listened to you. 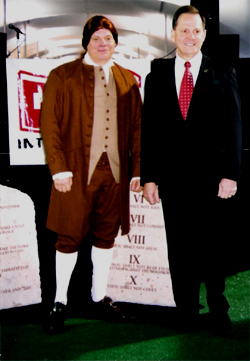 America needs to hear how far we have departed from the original intent of our Founding Fathers." "Words cannot express how proud I am of you and how impressed I am with your incredible work on behalf of God, country, and our traditional values...you are doing much to advance the Kingdom of God." "..an All American performance by a true all American.."
"..Very effective presentation exposes threats to America's freedom..a message that needs to be heard." "...all of us enjoyed your inspiring message...Your heart-piercing and participatory message..truly touched us." "You are a great American. 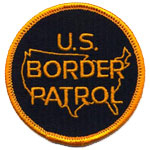 America needs you!" 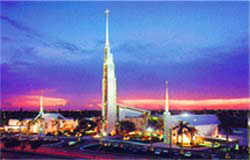 "I have seen every special event at this church for the last 20 years and yours was by far the best...God bless you for such a wonderful ministry...the standing ovation you received was richly deserved...we hope that you can come back again...what an awesome ministry you have...every church in America needs to hear this message...you were such a blessing to us...everyone enjoyed it..."
"...church was truly blessed and moved to tears by their presentation and love for Christ and America...passionate and dynamic ministry...if your church would like to learn about the true Christian heritage of America, then I highly recommend you have Dr. Hurley minister." I was disappointed that I was unable to attend your presentation. From all accounts it was warmly received. "As a result of your presentation, one of our college students told me she was going to change her major to History!" 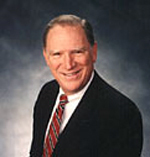 "It was a delight to have Dr. Lance Hurley at our church. 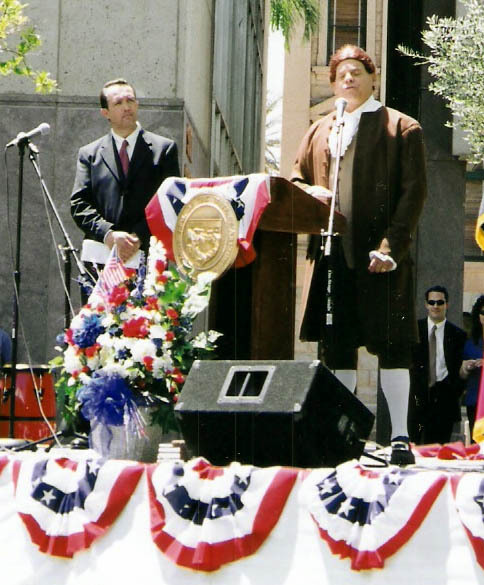 American history came alive for our people as they heard and saw portrayed the faith of the Founding Fathers. Knowing our national heritage of faith has given us a new appreciation of our freedoms and the price that was paid to secure them as well as a new perspective on the present attacks on religious freedom." 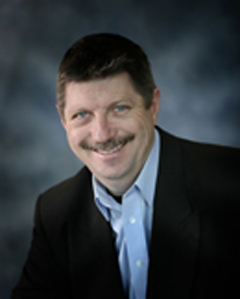 "There is still much talk in the air, and especially appreciation for your presentation. You emboldened a number of people to fight the good fight. Thank you...it accomplished exactly what I had hoped and envisioned it would." "..services were wonderful and people really enjoyed your message...I know that God will continue to work through you." 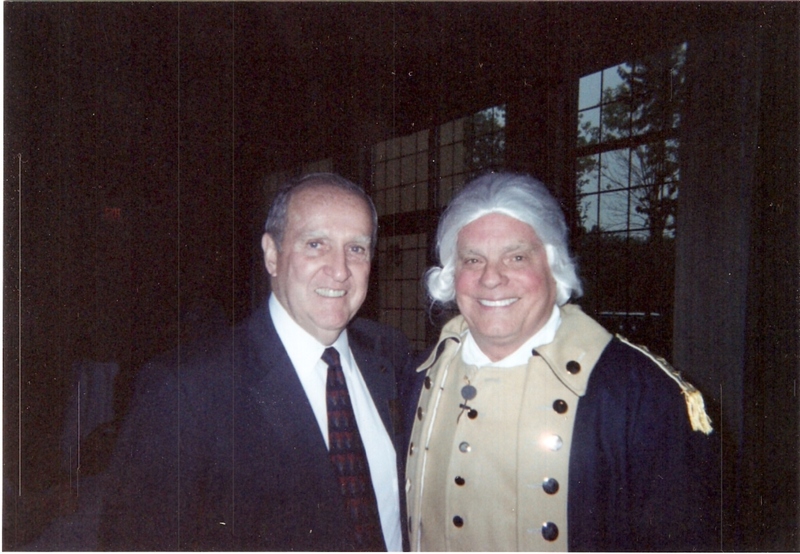 "We have had the pleasure of having Dr. Hurley portray both George Washington's as well as Patrick Henry. We were blessed and challenged by his ministry. 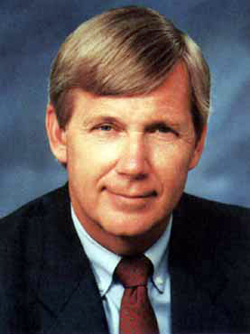 I enthusiastically recommend his ministry to any organization who wishes to know the truth about the Christian heritage of America." Have had Dr. Hurley as both Washington and Henry. His message is thought provoking, challenging and very appropriate for problems America is facing today. Highly recommend his ministry. 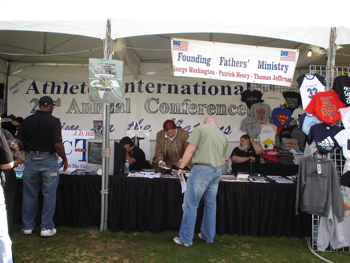 "Founding Fathers Ministry gives a wonderful presentation of history. This is something every church needs to see." "I would like to recommend a unique ministry to you that I think bears a message churches all across America needs to hear...Lance was very well received by our congregation. 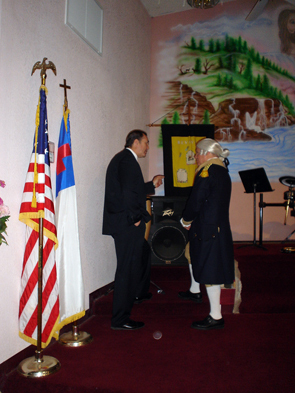 He exudes passion for God and country...his words are sobering and exhilarating to the believer...a great challenge to remain committed to this wonderful nation.."
"George Washington's Thanksgiving message was well received by our congregation. 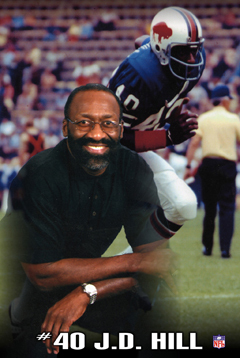 His message was inspiring, uplifting and relevant to what is happening in America today." 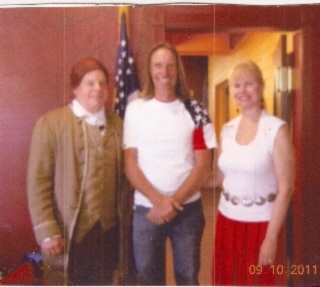 "...a "Voice" that exalts the Lord and Savior...portrays the spiritual heritage of our country...presentation is powerful and plants seeds of hope for our future as a nation... ministered on Father's Day.. message was relevant and uplifting to the dads..."
"Dr. Lance Hurley's portrayal of Patrick Henry and George Washington is historically accurate, very informative, enlightening and challenging. His two books are a great resource to give the public the truth. Your community will be tremendously blessed by having them minister." 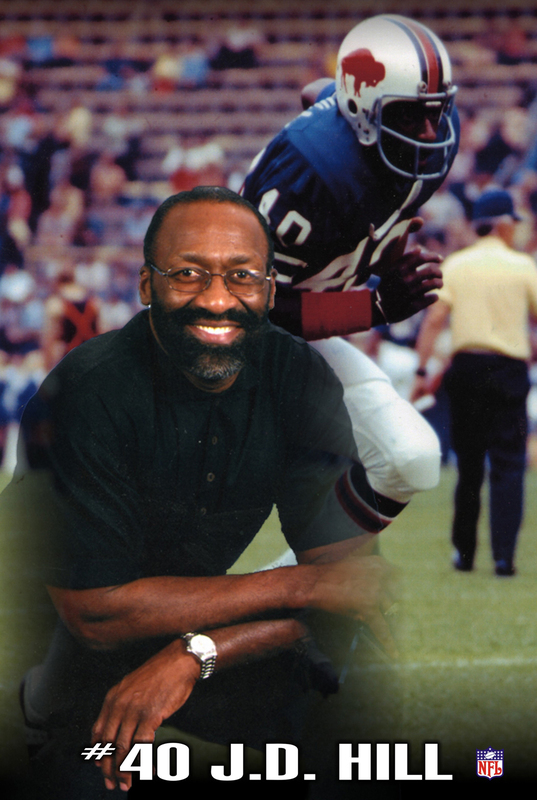 "...Lance's presentation will strike resonating chords of patriotism and will provide an important historical landmark for your congregation pertaining to the spiritual foundation of our nation...I recommend Lance without hesitation. I'm glad to serve as a reference." "We thoroughly enjoyed the presentation Lance put on here at Harvest. 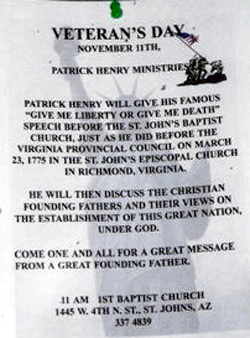 Lance became Patrick Henry and gave a stirring dramatization from Henry's life. 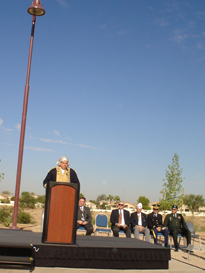 The ministry highlighted the importance of God and country and the need for Christians to dedicate their lives to make a difference in their communities as well as in this great nation. I believe Lance will be a blessing to any congregation." 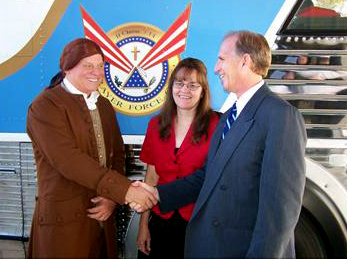 "...ministry of Dr. Hurley brings to today's American the reality of our Founding Father's singleness of purpose: One Nation under God Almighty...outstanding, professional, and engaging performance that stays in the hearts and minds of the audience..."
"..his message was compelling and worthy of referring his presentation to you... prayerfully consider inviting Lance... It's an invitation you won't regret." 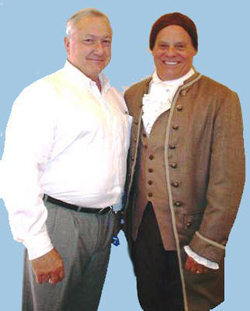 "Lance Hurley brought history to life and made great application to our modern today." "...Lance Hurley gave a beautiful portrayal of a great American hero...entire service was informative and quite moving...our people were quite responsive...would recommend their ministry to you." 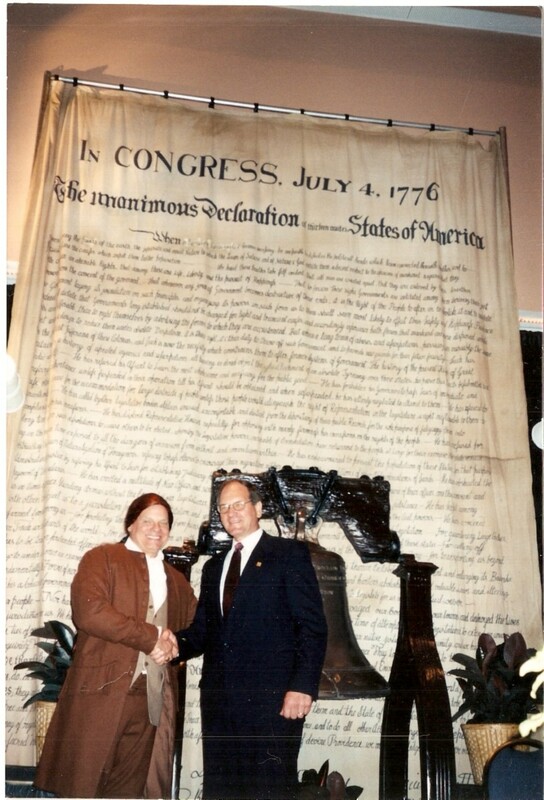 were right there at the Continental Congress..."
"...have had Lance twice...grateful to the LORD for raising up this voice for our day...invite Lance at the earliest possible date. You'll not be disappointed." "....had opportunity to host Lance Hurley....enjoyable and educational. Our entire congregation, young and old, enjoyed this wonderful presentation, and we wholeheartedly recommend the Hurley's to you." 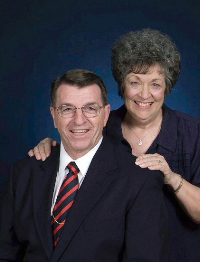 "...Lance's ministry received a tremendous reception from our congregation...I would highly recommend his ministry to any Baptist Pastor who is interested in a message about the true Christian heritage of our nation. It is a history lesson you will not forget..."
"You were even more awesome than at Christian World View Conference...Your solidly Biblical and Patriotic theme hit home with all our congregation...your wife set the stage with her music and singing..."
Your presentation of Patrick Henry and George Washington were really highlights of this convention. 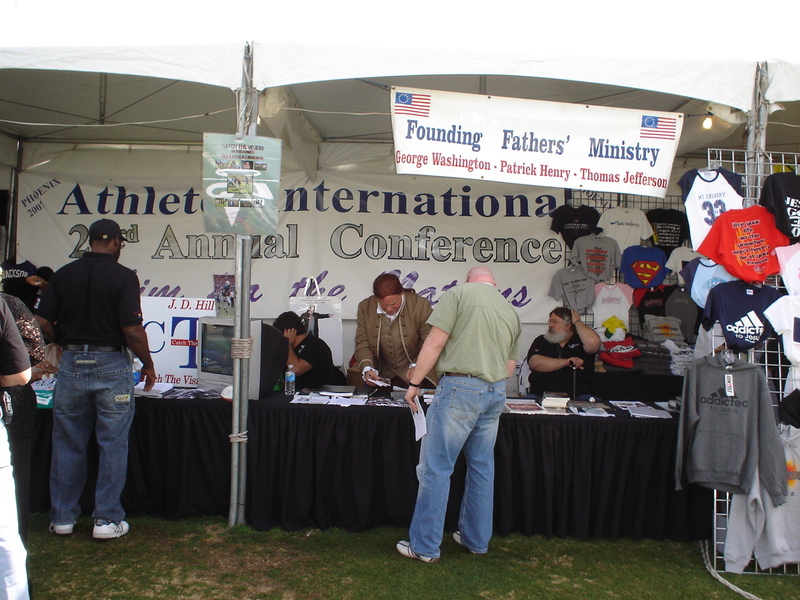 (John Birch Society 50th anniversary celebration." "strongly encourage you to keep doing what you are doing in your ministry. It is very needed in today's very uncertain times." 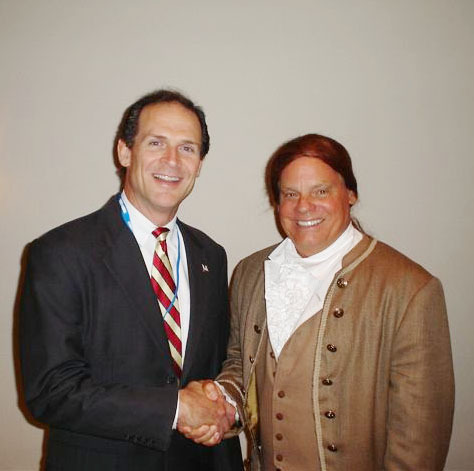 "I thoroughly enjoyed your presentation at the National Convention of the National Federation of Republican Assemblies. Dynamic and educational as well as entertaining." ".....awesome presentation at Freedom 21 conference. 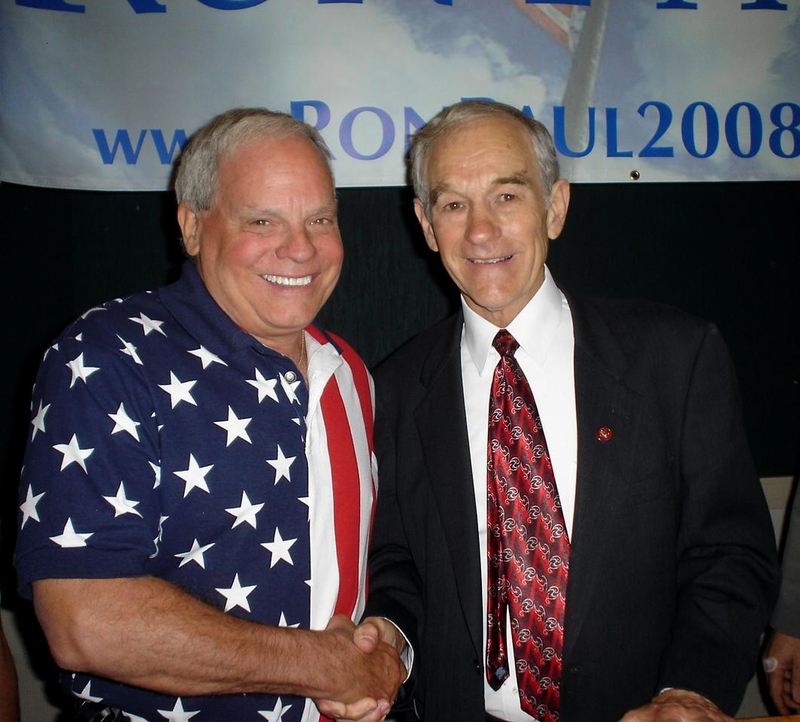 Highly recommend your presentation to any convention of like minded freedom/Constitution loving people..."
"Your patriotic and passionate presentation at two of my fund raising events were very effective and appropriate to my campaign goals." 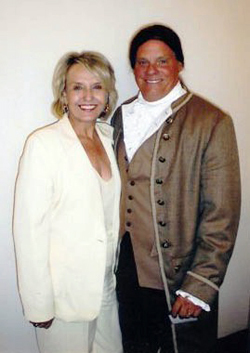 "I have had the pleasure of watching Lance portray both Patrick Henry and George Washington. 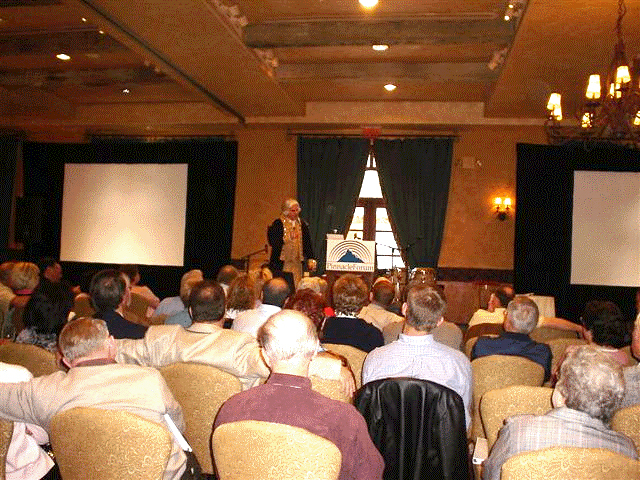 His dramatic, historically accurate, and often spell binding presentations hold the audience in rapt attention. If your organization wants to experience a "never to be forgotten" patriotic message about the Christian heritage of America, then I highly recommend Founding Fathers Ministry to you. 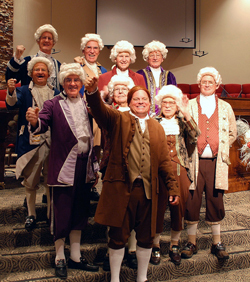 You will not regret having Lance make one of his presentations of these Founding Fathers. 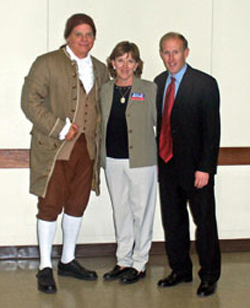 "...brilliant portrayal of Patrick Henry...impressed with your ability to impart the qualities of determination, courage and patriotism that have been attributed to Henry...you will inspire many to a renewed sense of patriotism and allegiance to the United States of America and our Constitution." 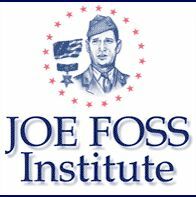 "Lance's performance as George Washington and Patrick Henry in the Joe Foss Institute's classroom video brought a realism and authenticity to the production, thereby enhancing the students interest level and retention of details of the Constitution and the Bill of Rights." "Thank you for your excellent contribution during Gilbert Constitution Week. Forty two one hour presentations to Junior and Senior High students would be taxing for anyone. I have heard many accolades about your presentations. 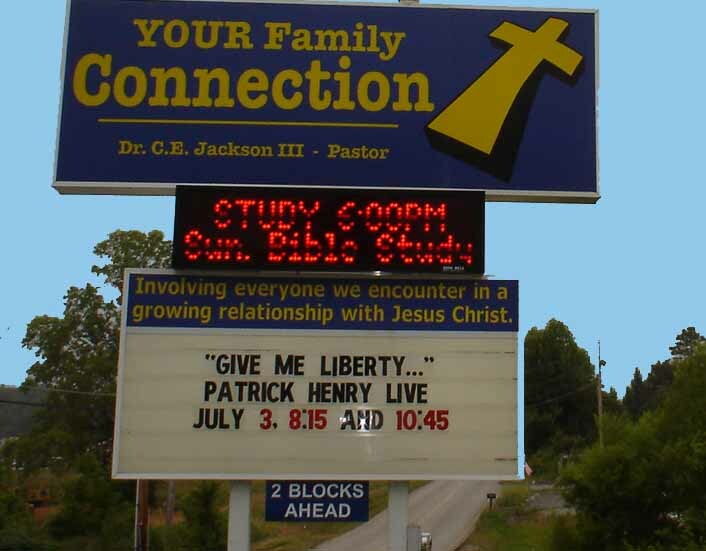 "...used the words of Patrick Henry to challenge our students to guard their freedoms, to use their freedom to declare salvation through Jesus Christ alone, and to appreciate the sacrifice of those who secured our freedom. I strongly recommend Mr. Hurley to you and your organization." "I do not know who was more impressed, the teachers or the students. ...my students remembered and referred back to the speech many times. 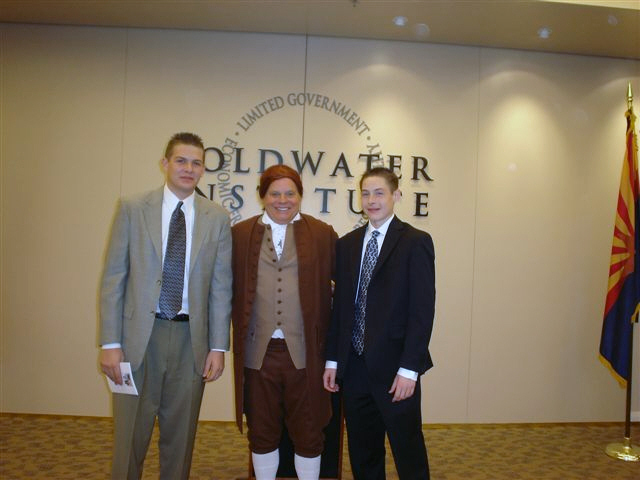 ...made it possible for my students to experience the passion of Patrick Henry"
"Comments from the children of your presentation: "I really enjoyed it. 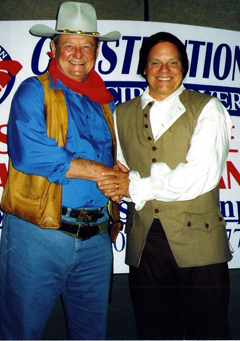 He made me feel like I was there...I learned a lot...you made American history come alive." 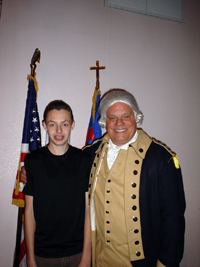 "Our assembly thoroughly enjoyed having Mr. Patrick Henry with us. 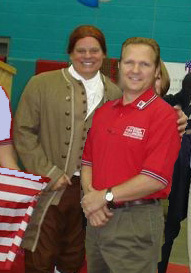 It was great how you engaged the students and I heard many favorable comments...You made history come alive." 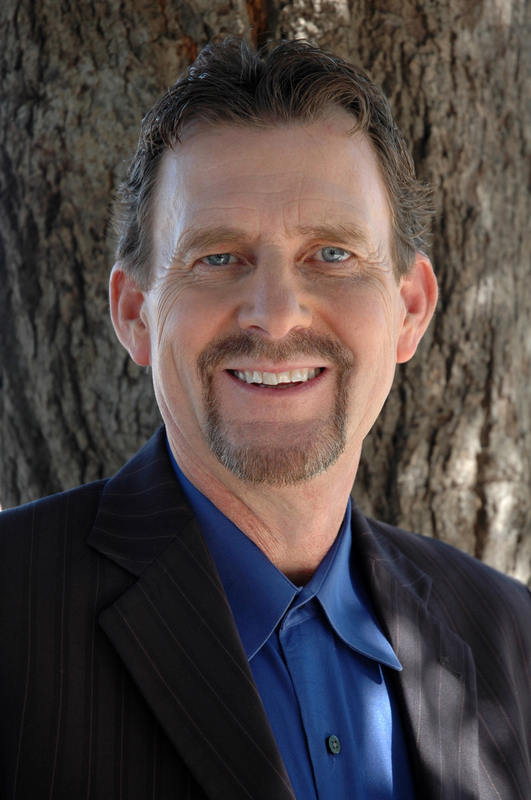 "Thanks Lance for your excellent key note address at our annual Sedona Realtors banquet. 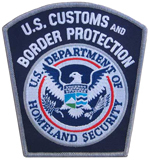 Your unique insight into our industry including challenges and opportunities was most appreciated. You made the evening fun, exciting, and most enjoyable. 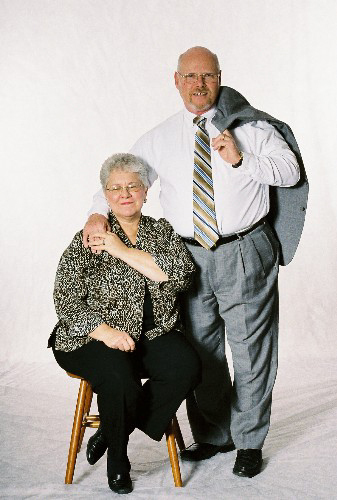 The practical financial advice you gave us was an added bonus. We all will benefit from your sound teaching. We all left with an instilled sense of pride in what we do. 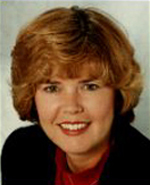 "All of our Staff Department Heads told me how much they enjoyed your financial planning workshop. I had thought my financial affairs were in order. You have motivated me to take immediate action to correct several deficiencies. We will definitely have you back again." 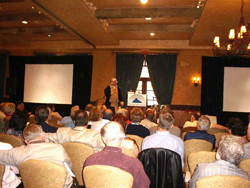 "Lance's presentation on "increasing Your Bottom Line in 2007" was most informative, educational and highly motivational! His use of humor was very effective as he engaged the audience in his presentation and showed how we could transfer personal non deductible expenses into Corporate deductible expenses. His remarks on the pitfalls of Buy/Sell agreements was most informative. Several attendees said that what they learned "paid for their trip"